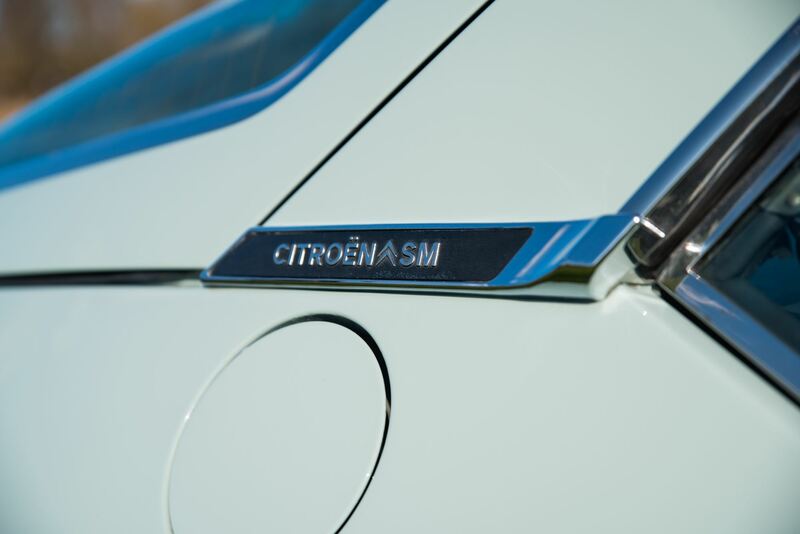 The Citroën SM is a high-performance coupé produced from 1970 to 1975. 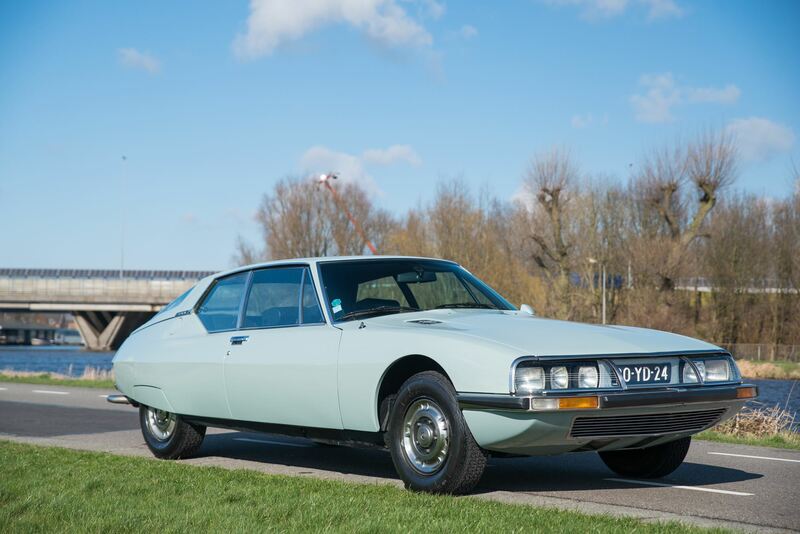 The SM placed third in the 1971 European Car of the Year contest, trailing its stablemate Citroën GS, and won the 1972 Motor Trend Car of the Year award in the U.S. 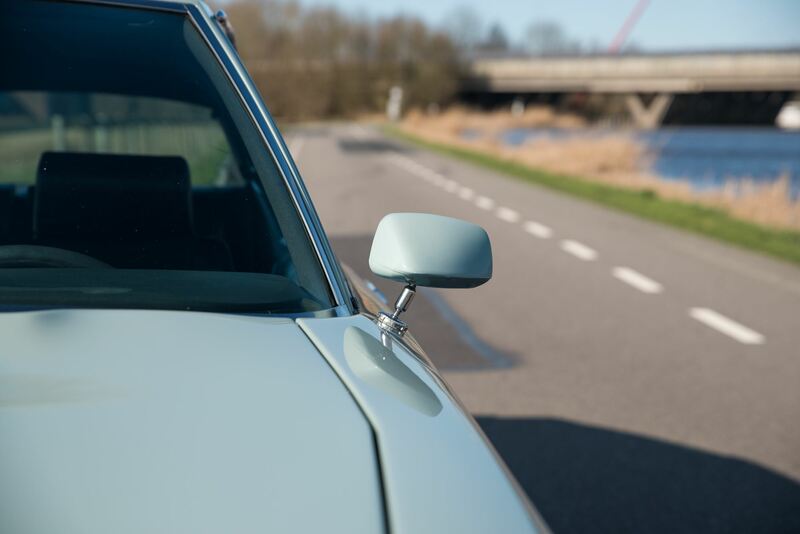 In 1961, Citroën began to work on ‘Project S’ – a sports variant of the revolutionary Citroën DS. 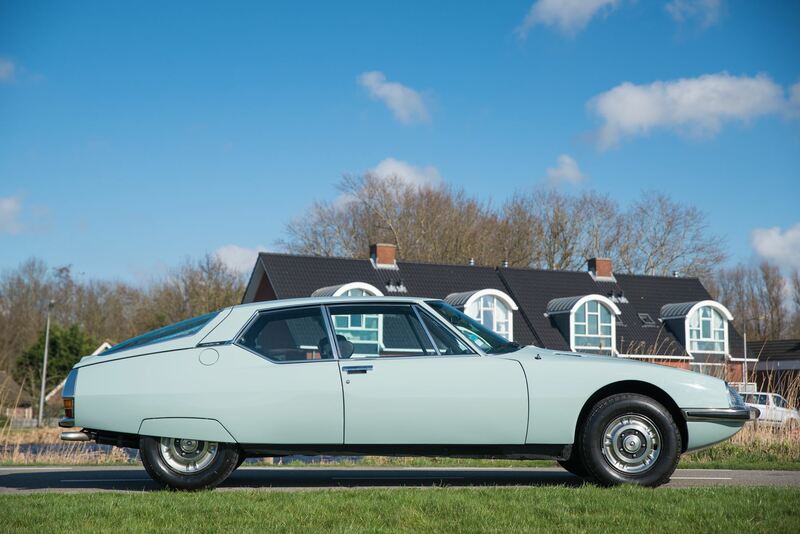 In January 1968, Citroën purchased a controlling interest in the Italian sports car manufacturer Maserati. 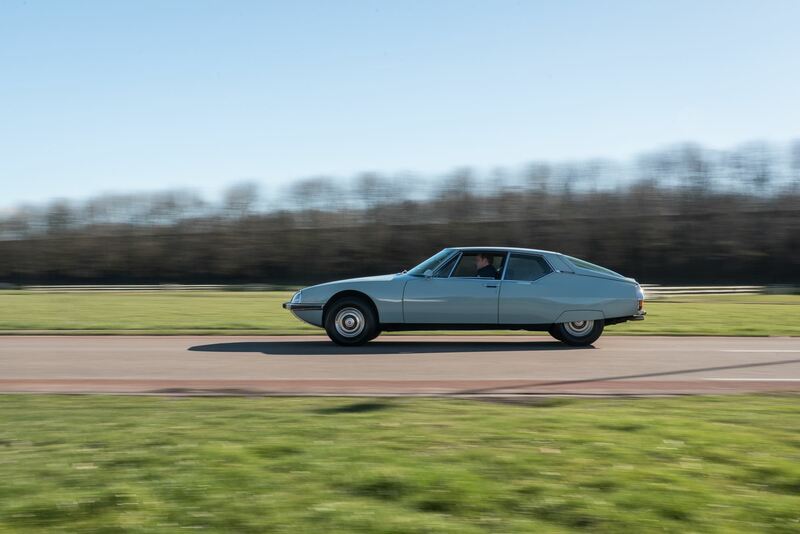 The acquisition followed the absorption of the French automaker Panhard and the truck manufacturer Berliet, all of which was financed by selling a 26% stake in Citroën to Fiat. In short order, Bercot set Maserati to work designing a V6 engine for the SM. The engine project was a daunting endeavor because of its stringent requirements: the new engine had to be exceptionally compact and lightweight; it could displace no more than 2.8 liters, a threshold beyond which French tax laws became too onerous, even for a luxury car and it needed to be ready in only six months. The project nearly led to a mutiny among the Italian engineers, who didn’t take kindly to the demands and arrogance of their new French masters. Amazingly, Maserati chief engineer Giulio Alfieri had a design ready in a matter of weeks, although it involved some compromises that later proved troublesome. 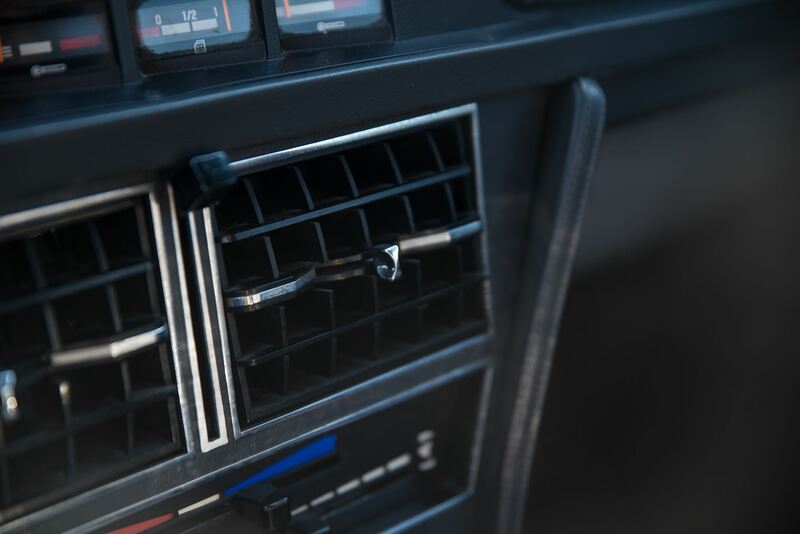 Most of the rest of the car’s engineering was familiar, to Citroën engineers, if not to the rest of the world. 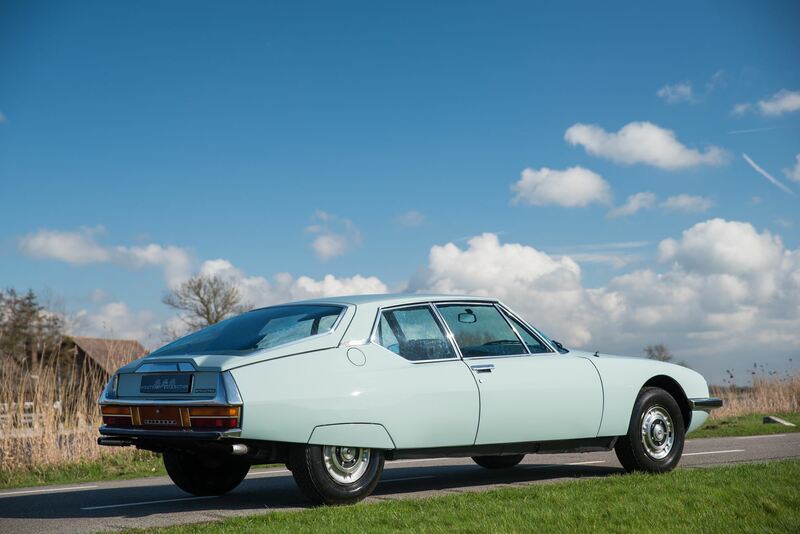 Suspension was largely the same as the DS, refined to eliminate a few of the Déesse’s foibles and to suit the SM’s more sporting intent. Brakes, too, were similar to the DS, although the SM got discs at all four wheels, reflecting its greater speed potential. 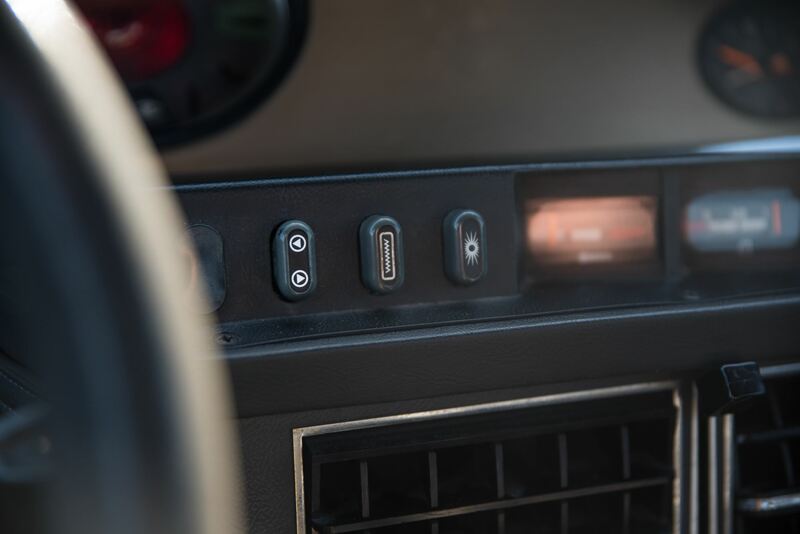 Front-wheel drive was likewise carried over, as was the high-pressure central hydraulic system, which no other automaker other than Mercedes had dared to imitate. As before, the hydraulics powered suspension, brakes, and steering. 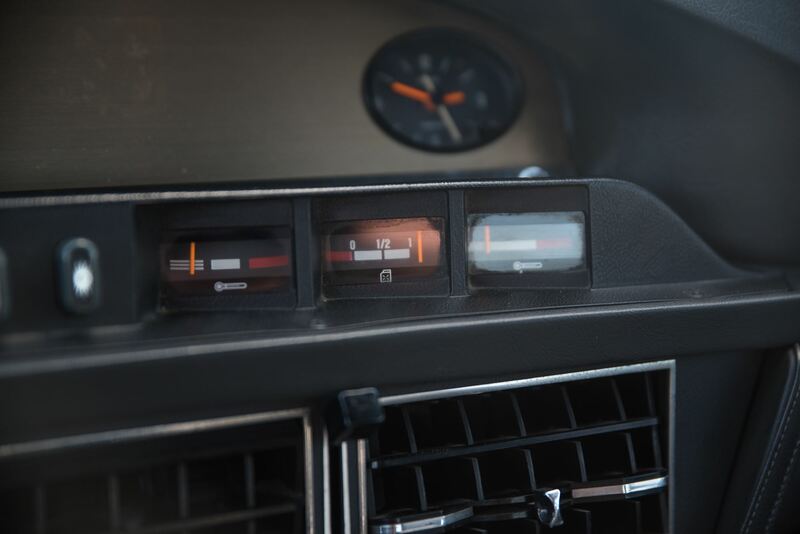 The latter, dubbed VariPower, was now provided with a much faster ratio, a self-centering action (if you cranked the wheel around with the engine running, it would return to the center by itself), and a novel speed-variable system that reduced steering assist at higher speeds. 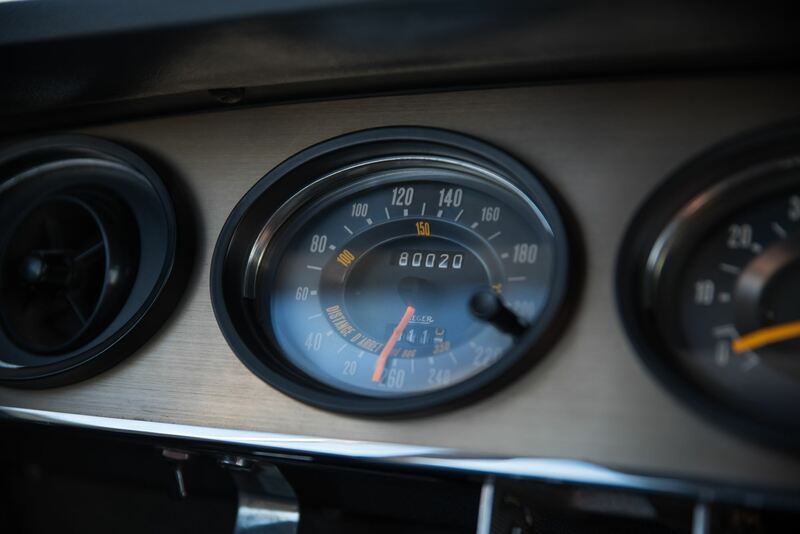 The SM was quite an expensive car, such prices put the SM in the realm of the BMW 3.0 CS, Mercedes 350SLC, Porsche 911, and even Ferrari’s V6 Dino 246. 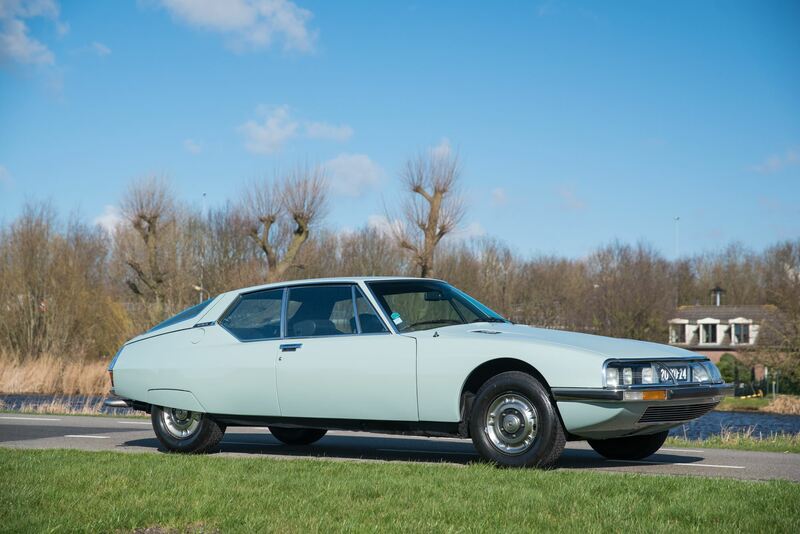 This specific Citroen SM has been newly delivered in France where it was for most of it’s life. A very good customer and friend of us with an amazing collection wanted to have this icon in his collection but he just get too many cars in the collection and decided to trade in 10 cars on an expensive car from us. 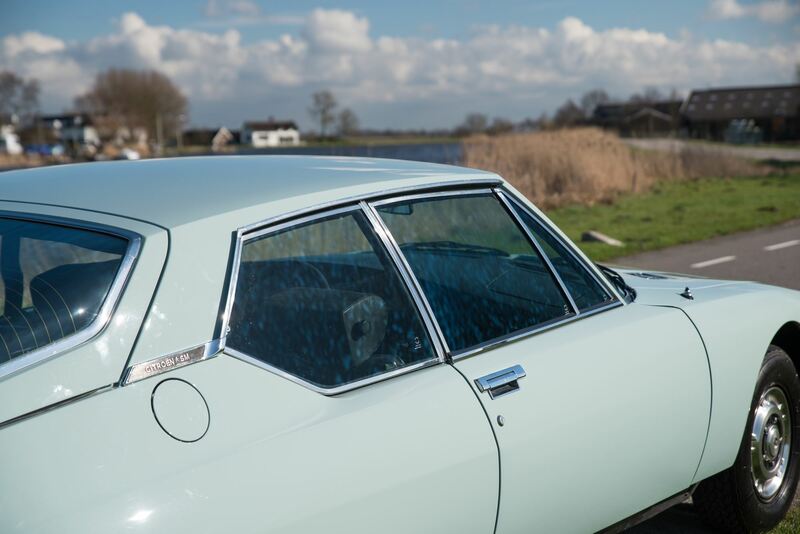 This car and color was specifically searched for by an autoscout and when the car arrived it was in a very nice condition but although the collector it could even be improved. 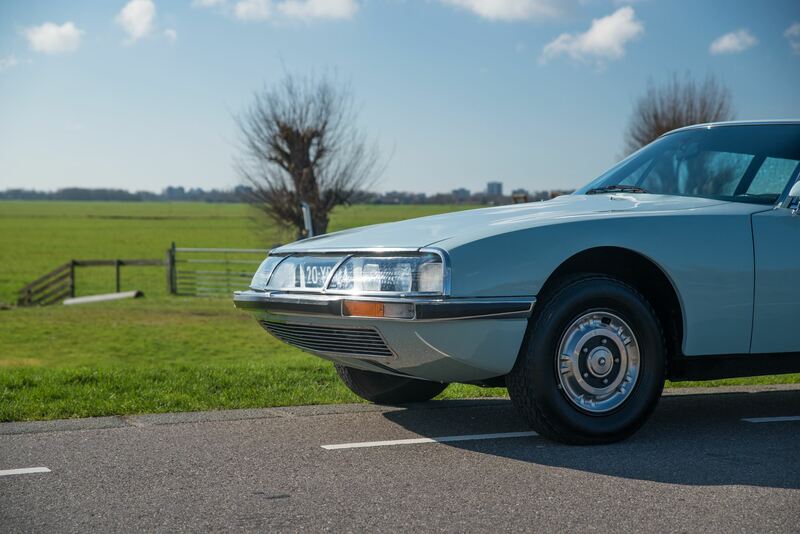 Therefore the Citroen was stripped and completely resprayed for approximately € 15.000,- euro’s. As might expected from a respray, the condition of the paint is very nice but the overall condition of the exterior is very nice. The paint is very shiny but also the aluminium parts are all in a very nice condition and without any damages or scratches. The very expensive glass light coverages at the front (try to avoid stones as they are impressively expensive) are also in a very nice condition. 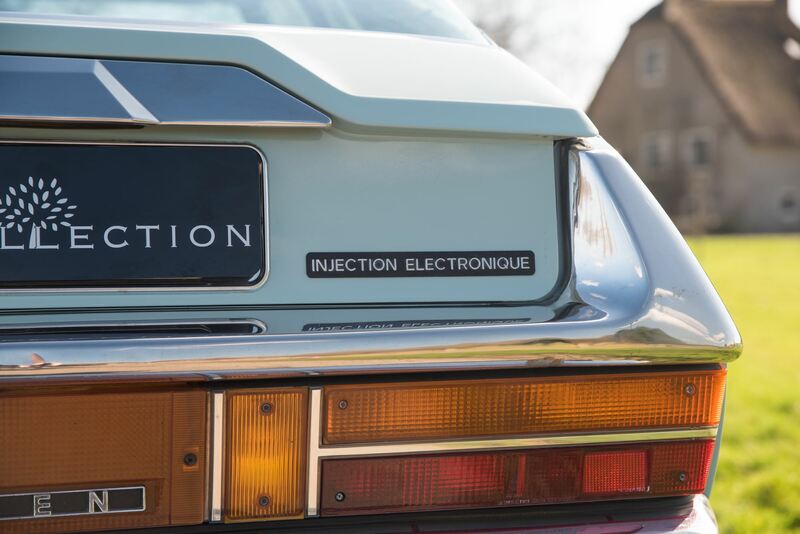 All details are present such as the logo’s on the left and right side on the body and even the injection electronique badge is still present. The exterior of the Citroen is very nice. 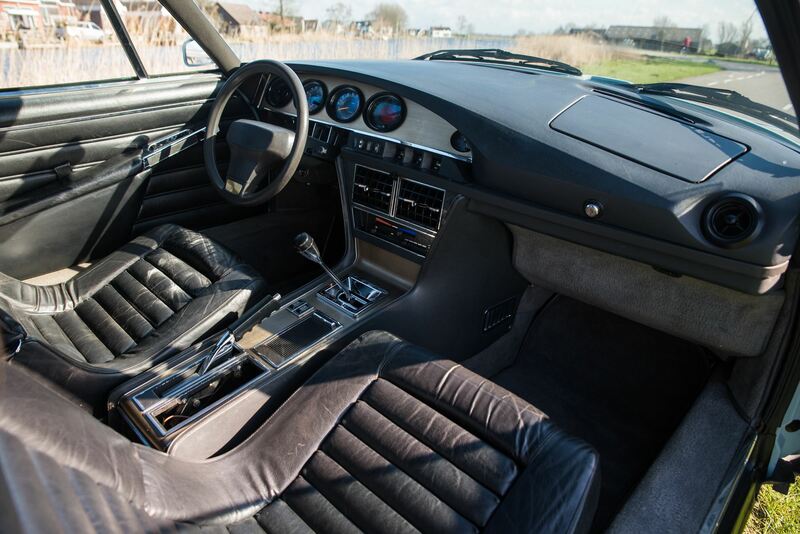 The interior of the Citroen is even more special then the exterior as it seems to be completely original with the desirable leather seats. 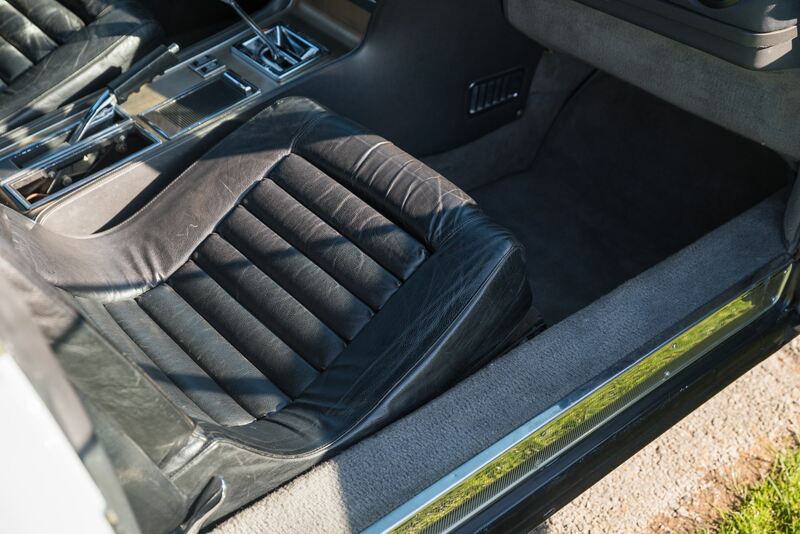 Very often the interior of the SM is restored and many times incorrect as the leather is hard to find and the sizes of the lines in the seats are often copied wrong. 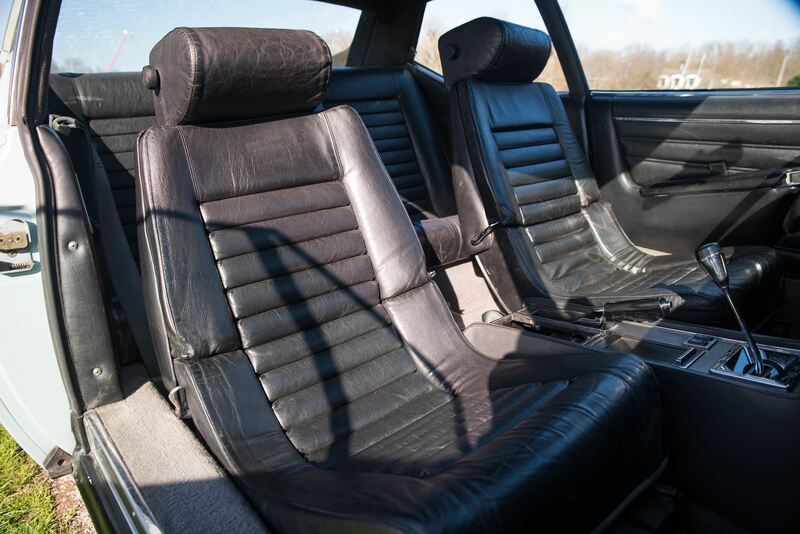 The leather does show some fantastic patina but the leather does not show any damages, scratches or broken parts which is off-course very unique after all those years. 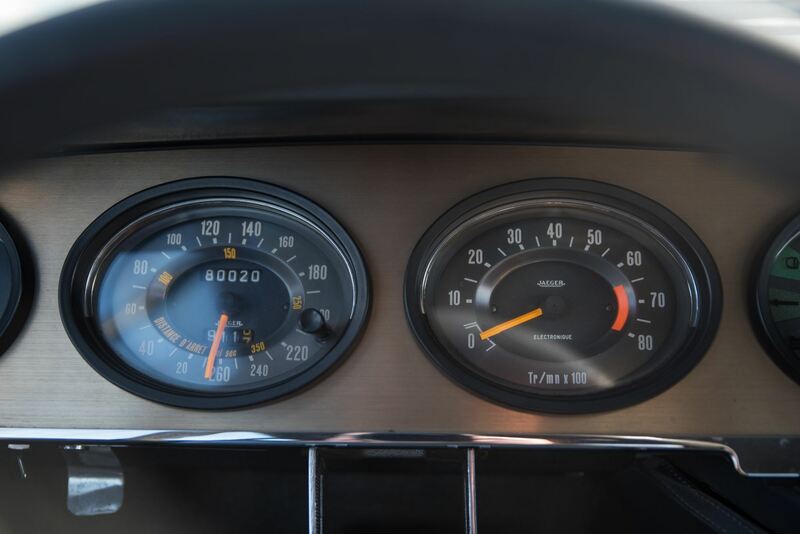 The beautiful copper colored dashboard is in a wonderful condition and all meters (Jaeger) are properly functioning. The carpets seems to be also completely original and is again in a wonderful condition. 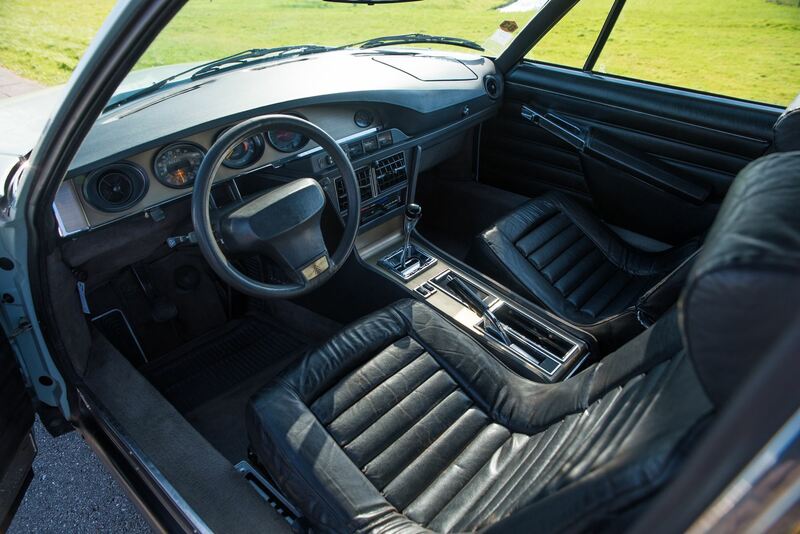 It will be hard to find an original SM interior in such a beautiful condition. The radio which is missing on the pictures will be re-installed soon. 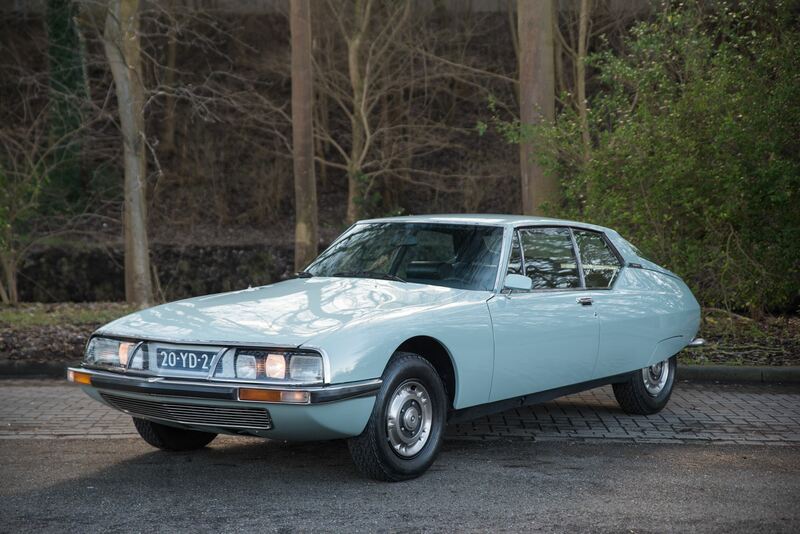 In the time, the Citroen SM was widely regarded as the best car in the world. If one discounts the Panhard et Levassor models of the early 1900s this might be the one and only time a French vehicle was acknowledged as the best on the globe, and that is unsurprising since French cars usually enjoy the same esteem granted to Scottish cuisine and Mexican banking practices. There’s nothing ordinary about the way the SM drives. You start the engine and first feel the rear of the car rising, then the front. (Next to the driver’s seat there’s a lever to adjust the ride height.) The 90-degree V-6 is a little lumpy at idle, but get the revs up and the Maserati engine growls toward its redline. It also pulls strongly. 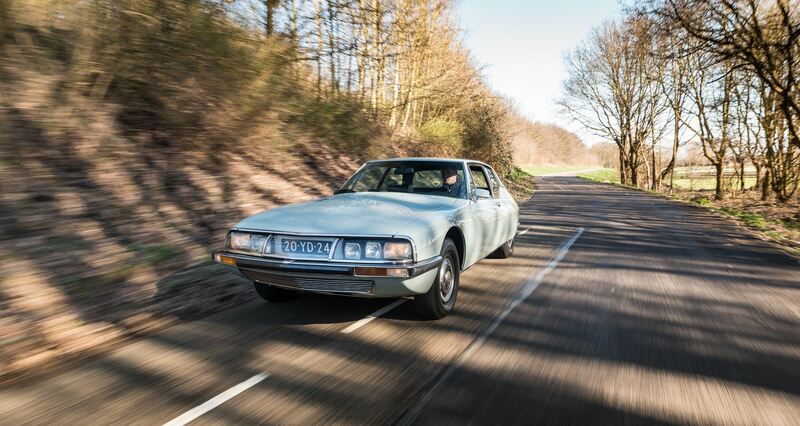 Citroën put the SM’s 0-to-60-mph time at 8.2 seconds. 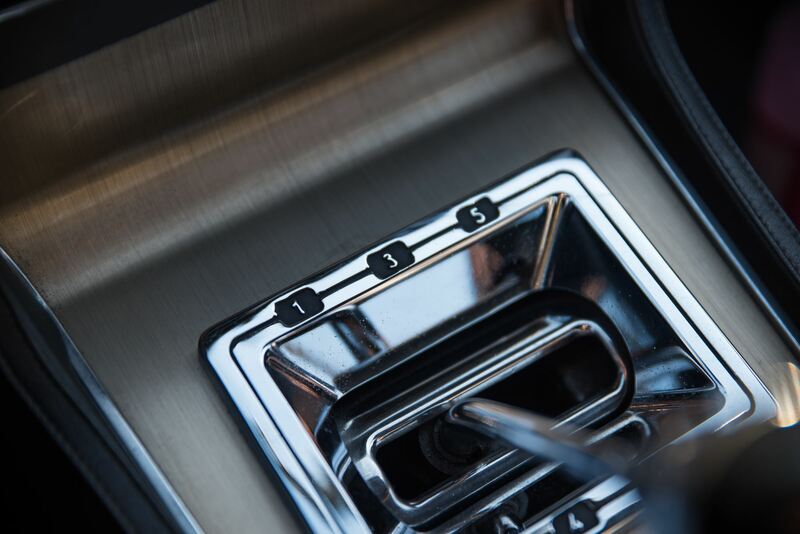 The five-speed gearbox is a joy. 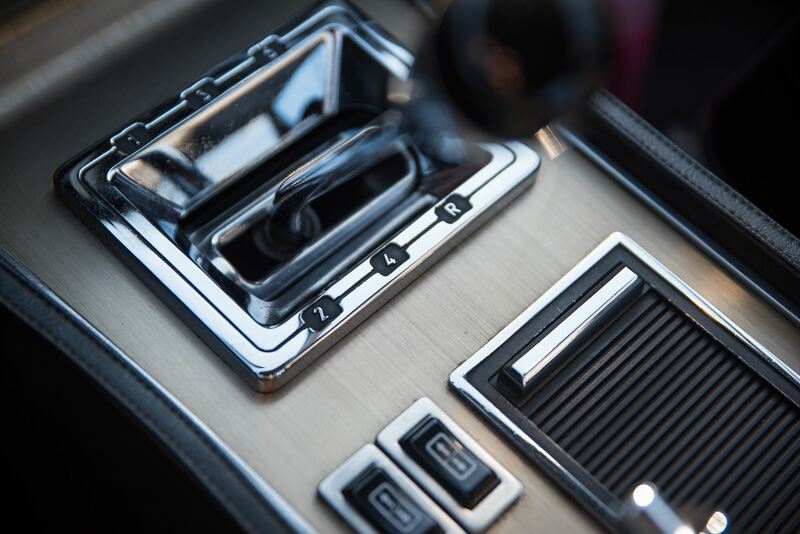 The big, chrome gearshift needs just a nudge in the right direction and it clicks right into gear. The steering is relaxed but very quick once you begin to turn. 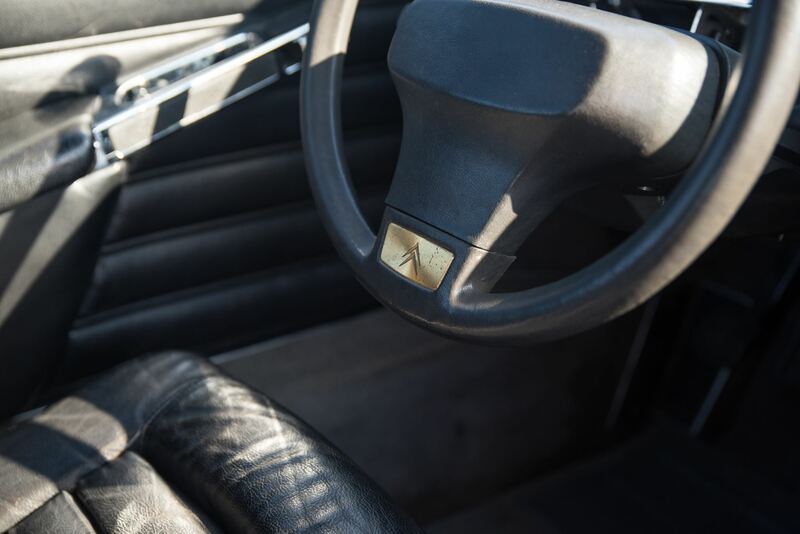 The oddest aspect of the driving experience, however, is the pressure-actuated brake, which is a mushroom-like button on the floor rather than a pedal. 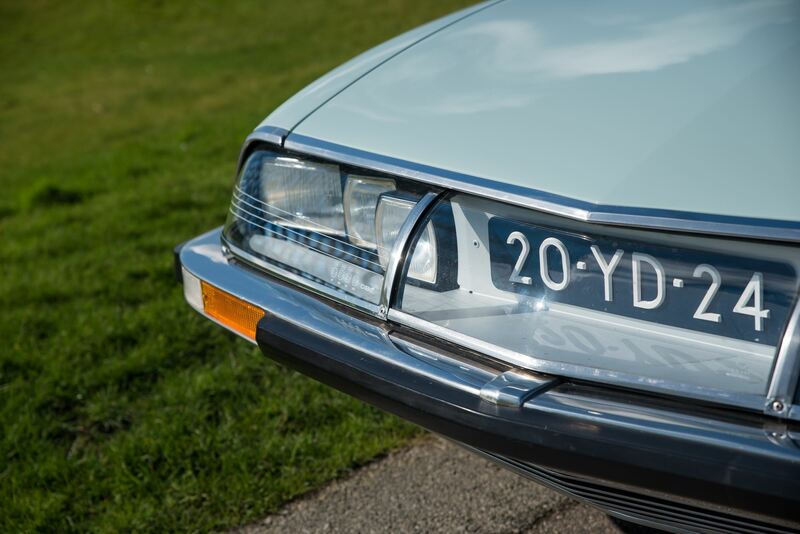 The Citroën’s most charming characteristic is its incredible ride quality, as the car glides over road imperfections. Yet you can throw it into a corner and the body leans up to a point, then just hangs on. 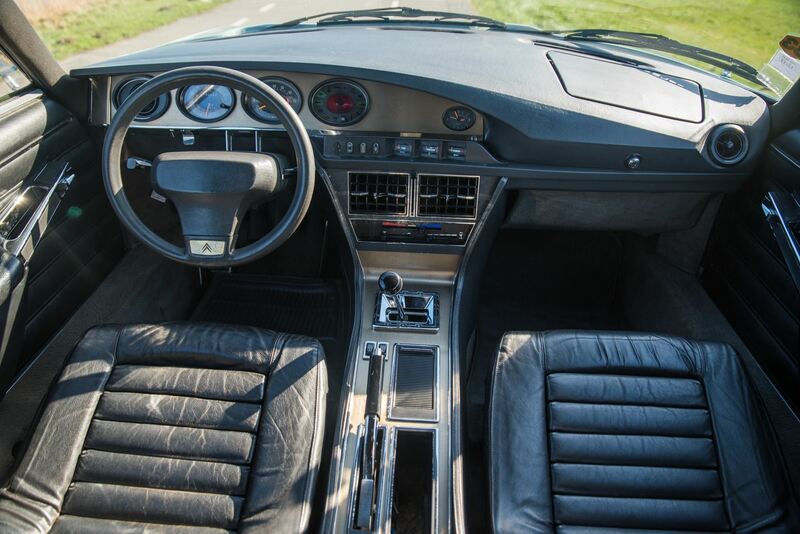 The SM may look like an otherworldly device but, really, it’s a high-performance grand touring coupe, a car that was designed to whisk rich Parisians to the Cõte d’Azur with speed, comfort, and style. 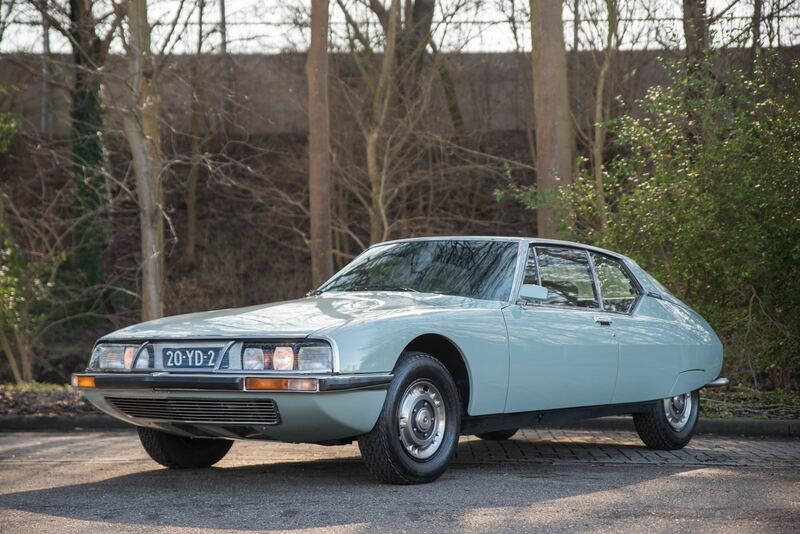 There weren’t many other cars that could do what this car could.” And there are absolutely none that did it the way Citroën did. 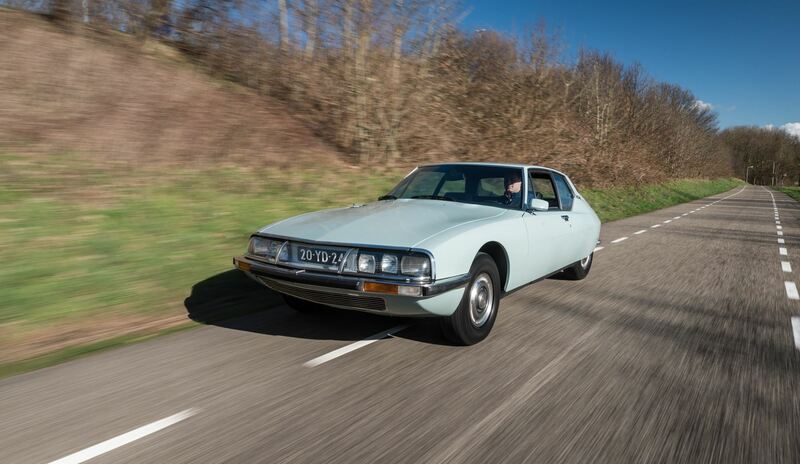 The Citroën’s most charming characteristic is its incredible ride quality, as the car glides over road imperfections. Altogether the SM is an absolute icon and a very usable car on a regular base. 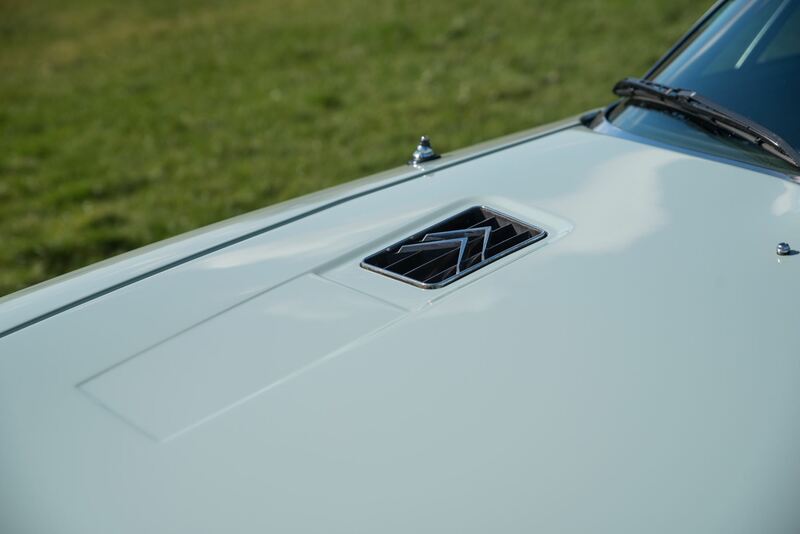 A must have in every serious classic car collection.